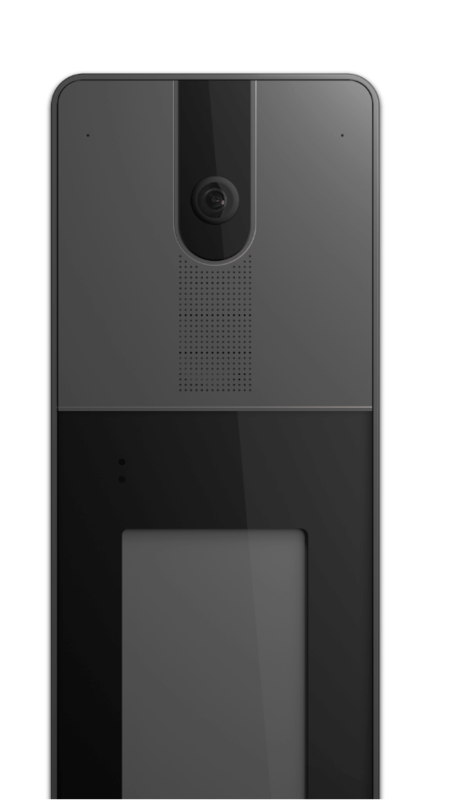 IpDoor Smart video door phone, a new interactive experience. Welcome your visitors in a surprising way! IpDoor has an essential design and a display where you can customize everything: welcome messages, instant replies read by the bot, exclusive images. It has access control interfaces so when you arrive it recognizes you and opens the door, and if it is not you he memorize the visit! The freedom to communicate at all times, even when you're not there! 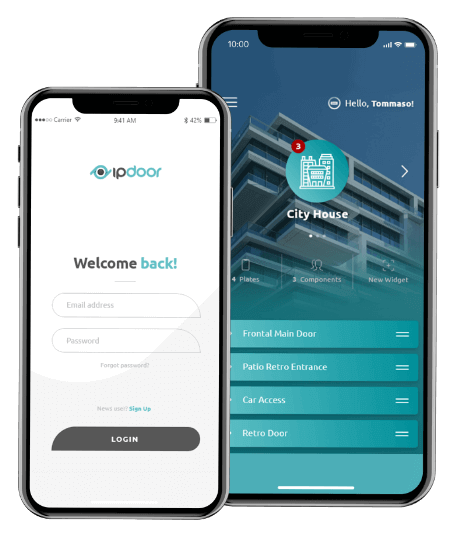 Thanks to the IpDoor App you’ll be able to: answer the video door phone, leave default or instant text messages, choose to reply by showing yourself on video, or connect to your home wherever you are. Finally you can communicate with your visitors in a more engaging and interactive way. The IpDoor display talks to people approaching the entrance panel, while they are choosing the user to call or waiting. When replying it is possible to suggest default messages that will be read automatically through the text-to-speech, personalize the messages in real time via the App, or simply reply, even by activating the video call. The result? Comfort and absolute security! Endless possibilities and a super smart system! 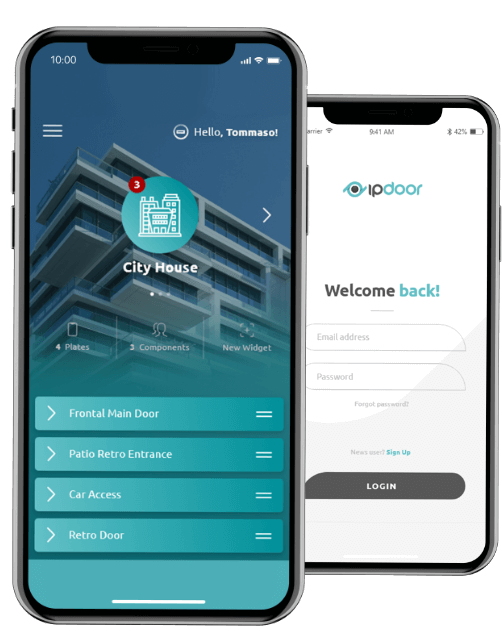 IpDoor is a complete WiFi video door phone, which doesn’t require cabling or servers: just you, the external unit and your app. In two words: simplicity and control. Essential and well-finished, IpDoor is the only high performance and resistant external unit with a display. Since the system works even when the app is on stand-by, smartphone battery saving and comfort of use are guaranteed. Leave your virtual post-it notes or voice messages, and you’ll always be easily available: no more excuses for missed deliveries! Compatibility with other home automation systems such as opening gates or switching on lights. Get recognized thanks to the NFC protocol and open gates or doors directly with your smartphone. To ensure maximum security, you can save conversation videos with visitors locally or in the in Cloud storage. A system that is open to integration, full of features and extremely secure. Sign up for previews and information on IpDoor products! Answer the intercom from where you prefer.